Small groups of parishioners meet at each other’s homes or at the church to get to know each other better. 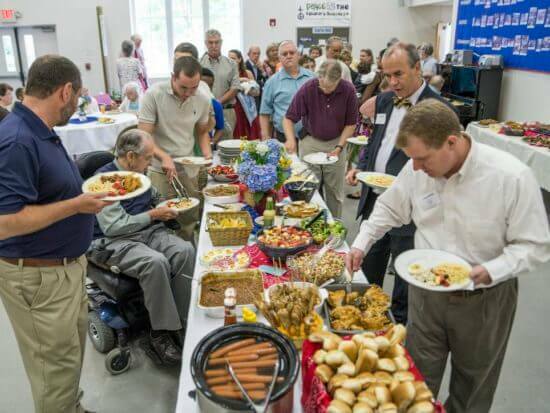 Luncheons are scheduled as needed to welcome newcomers to St. Anne’s and introduce them to the people and traditions that make St. Anne’s special. This parishioner-led group selects books to read and meets on the second Tuesday of each month for dinner and discussion. 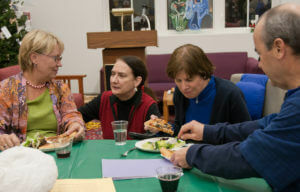 Parishioners contribute a dish to share on second Wednesdays, offering a social opportunity to catch up with friends and get to each other better.